"How prosperity and poverty are determined by the incentives created by institutions, and how politics determines what institutions a nation has"
in the South, economic institutions encouraged investment and trade. South Korean politicians invested in education, achieving high rates of literacy and schooling. South Korean companies were quick to take advantage of the relatively educated population, the policies encouraging investment and industrialization, exports, and the transfer of technology. South Korea quickly became one of East Asia’s “Miracle Economies,” one of the most rapidly growing nations in the world. By the late 1990s, in just about half a century, South Korean growth and North Korean stagnation led to a tenfold gap between the two halves of this once-united country— imagine what a difference a couple of centuries could make. The economic disaster of North Korea, which led to the starvation of millions, when placed against the South Korean economic success, is striking: neither culture nor geography nor ignorance can explain the divergent paths of North and South Korea. We have to look at institutions for an answer. Last edited by Robert Tulip on Fri Jan 10, 2014 8:55 pm, edited 2 times in total. 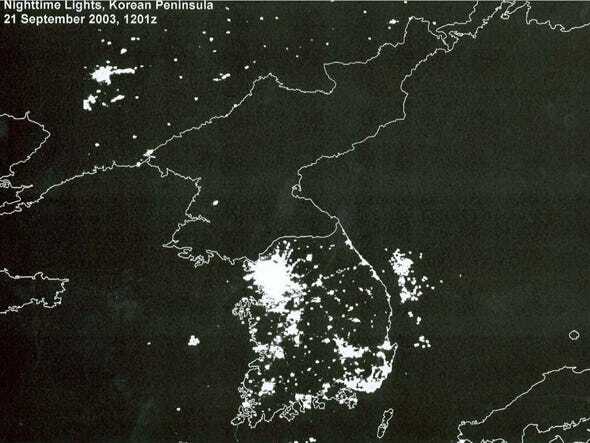 In the section of this chapter on “EXTRACTIVE AND INCLUSIVE ECONOMIC INSTITUTIONS”, WNF notes firstly an example of this contrast between extractive and inclusive is that people in the extractive state of North Korea "are unsure about what kind of human rights they will have", while those in the inclusive state of South Korea "obtain a good education, and face incentives that encourage them to exert effort and excel in their chosen vocation." So far he doesn't seem to be saying anything very controversial, even though as I said before, he says that most economists believe in the "ignorance hypothesis." Not that this is a bad thing (being uncontroversial), I think the historical references are very useful and I haven't gotten to his full explanation of how political institutions change. I guess you can say that many economists are too optimistic in thinking they can just throw money and aid at problems in other countries, although it's hard to believe they wouldn't be aware of the problem of self-serving rulers. Weak understanding of development options is more common among politicians and the general public than among economists. Often people think of aid as primarily a wealth transfer, and this is linked both to the model of charity and the old economic idea that poor countries were mainly constrained by a shortage of capital. But the problem with just giving money is that often poor governments lack the institutions to spend it well, leading to a high level of waste. So the design of better institutional architecture is a precondition for aid effectiveness, and this requires technical assistance and policy dialogue. Politicians are especially dangerous, because they think they know everything but are actually quite ignorant. They love cutting ribbons to open new gifts, so they can take credit, like the big man in a latter day cargo cult. And they sometimes have trouble seeing how boring topics like tax collection systems and business regulation are central for poverty reduction. Part of the trouble with Why Nations Fail is that the people who read it will mainly already have some understanding of its arguments, but the decisions will continue to be made by people who could not be bothered to immerse themselves in this level of detail.